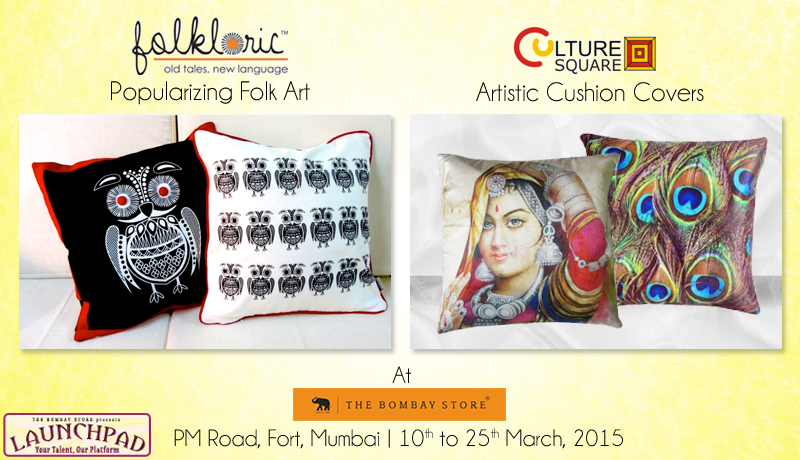 Culture Square & Folkloric at The Bombay Store! The month of March is a culture filled one with our Launchpad brands Culture Square & Folkloric putting forward their ethnic best. Culture square is a one-stop shop for creative and customized products & services. You can now have your favourite print or photograph adorning your couch with Culture Square. So come and visit them to jazz up your home decor. Folk art forms of today were once a way of life. And Folkloric aims at bringing this very folk art back in your daily lives in an interesting, functional and relevant way. Their art & inspired collections include Warli & Mithila collections and their product range includes cushion covers, oven mittens, table runner, placemats, tote bags, and sling bags. Visit us now to check out their fabulous product range.